Vegan Lamazuna Solid Shave Soap is perfect for your shaving! 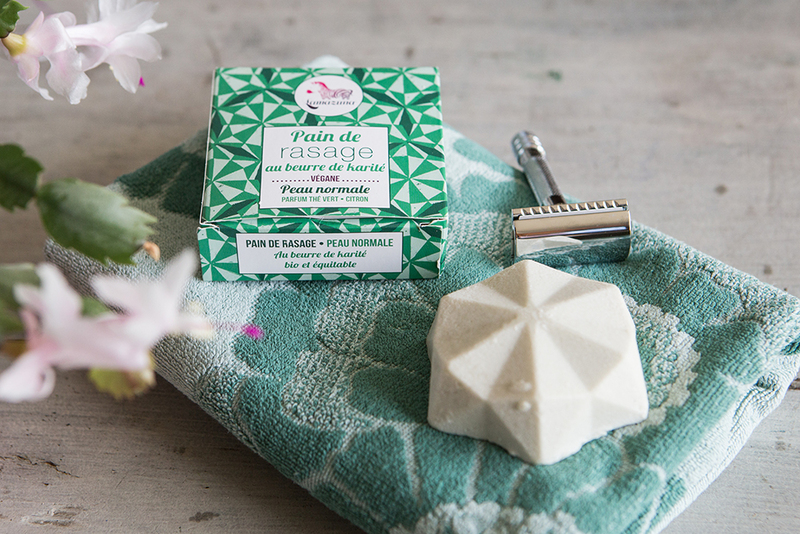 It gently glides on your skin thanks to the creamy foam when the soap is in contact with water. Rich in organic shea butter, your s kin is nourished and protected. 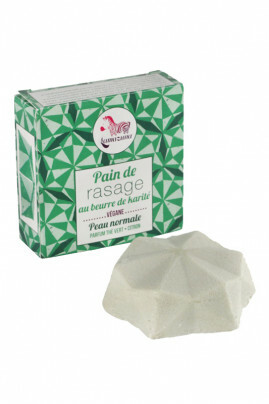 Very easy to use, its solid shape can be applied to the face, legs and armpits. With Lamazuna Organic Shea Butter Shaving Soap, you'll love its sweet green tea and lemon scent for an invigorating effect! For a soft & pleasant shave for a beautiful skin! Wet the shaving soap under water and rub gently on the skin until you get enough foam to shave. After each use, leave the solid shaving soap in the open air on a small saucer or the Lamazuna Glass Storage Jar in your bathroom so that it can dry. Very practical thanks to its mini size, the advantage is that it can slip everywhere you go. Precautions for use: Avoid contact with eyes and mucous membranes. Keep out of reach of children. For external use only. Do not ingest or use if allergic to any of the components. Shea butter to nourish & protect your skin when you are shaving!